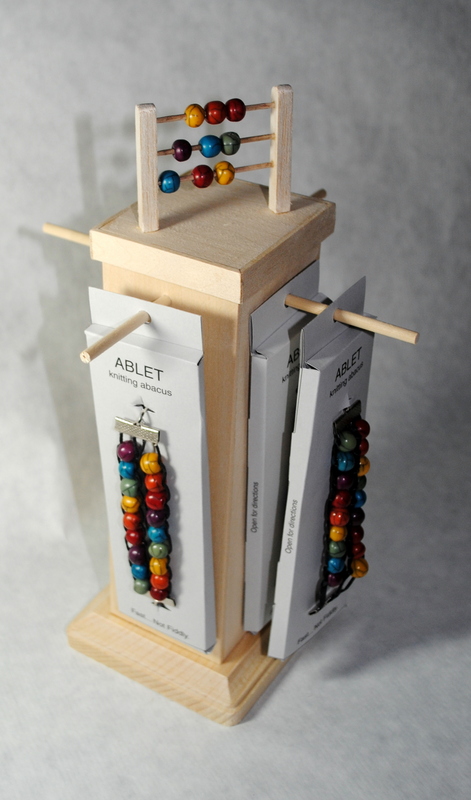 It’s been a while since I posted, mostly because I have been so busy finalizing my packaging and display for my newest obsession: The knitting abacus. The knitting abacus, or ABLET (ABacus braceLET) for those that don’t know is a uniquely designed row counter bracelet. My Patent Pending status came through a few weeks back and I’ve been busily trying to get all the loose ends tied to get marketing like a madman. 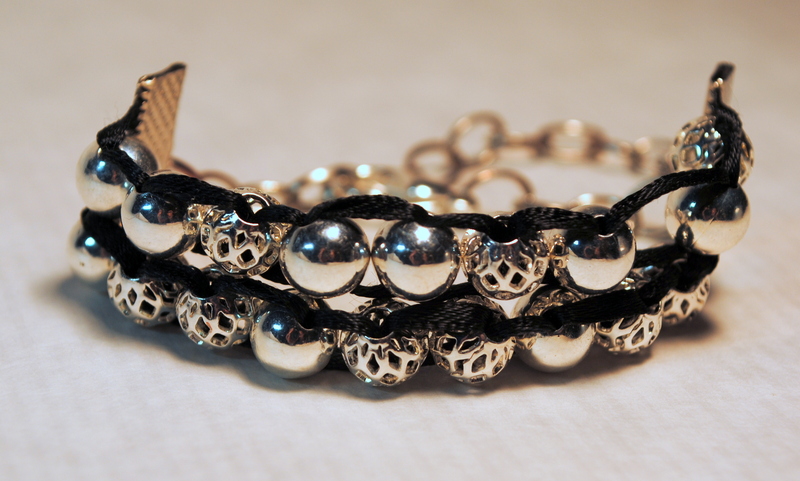 The patent is due to the unique design in how this bracelet works. Much experimentation has gone into finding the perfect combination of beads and other materials. 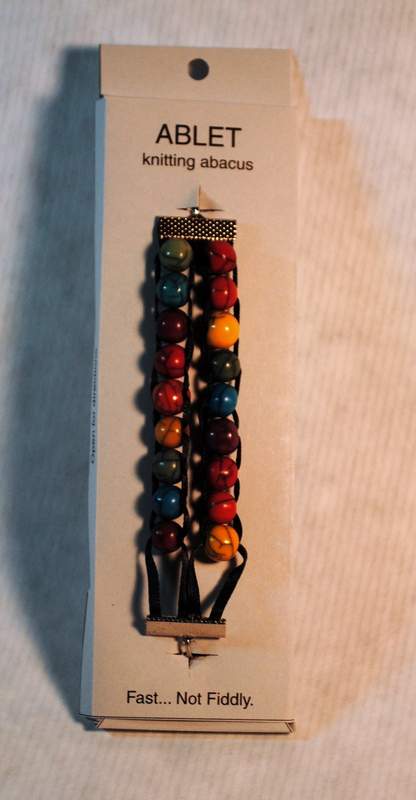 The beads slide on the string and stay where you put them until you move them. They don’t need to be manipulated through a loop. (Other row counting bracelets use a bead through a loop technique). Of course, if you do know me, you know what an ABLET is because I’m driving everyone nuts talking about how much I love them and how I know absolutely anyone and everyone who knits or crochets is going to want one too! Maybe I’m being overly optimistic here, but I’m seriously thinking that this is as important as blingy stitch markers and fancy needle ends. Personally, I believe it’s up there on the list of must have knitting tool importance right next to calculators and tape measures. So here’s a picture of my POP display. I’m pretty happy with it so far. I think it needs paint and some lettering or something to jazz it up a bit! I have also been working on a new website where ABLETS can be ordered by the thousand, Ok by the hundred… or the dozen, ok fine, only get one, and then maybe another to give to your knitting friend for her birthday. knittingabacus.com. What a learning curve that has been! And to think I went to school for this stuff. My site is built through wordpress, so that’s kinda neat. I’m using a shopping cart theme that seems to work pretty seamlessly with wordpress. They claim you can get your store up and running in under an hour… Or under a weekend, anyway! My 100% recycled card is on order and I can’t wait for it to come in for the packaging which will be 99% recycled cardboard and 1% tape. Here is another design… “much sparkly” as my little one would say. It looks gorgeous on. I’ve been wearing it all day to test it out, and the beads still tell me that the date is the 2nd. Yep, I use mine to tell me the date when I’m not knitting (rarely), ’cause I’m just that ditsy sometimes. 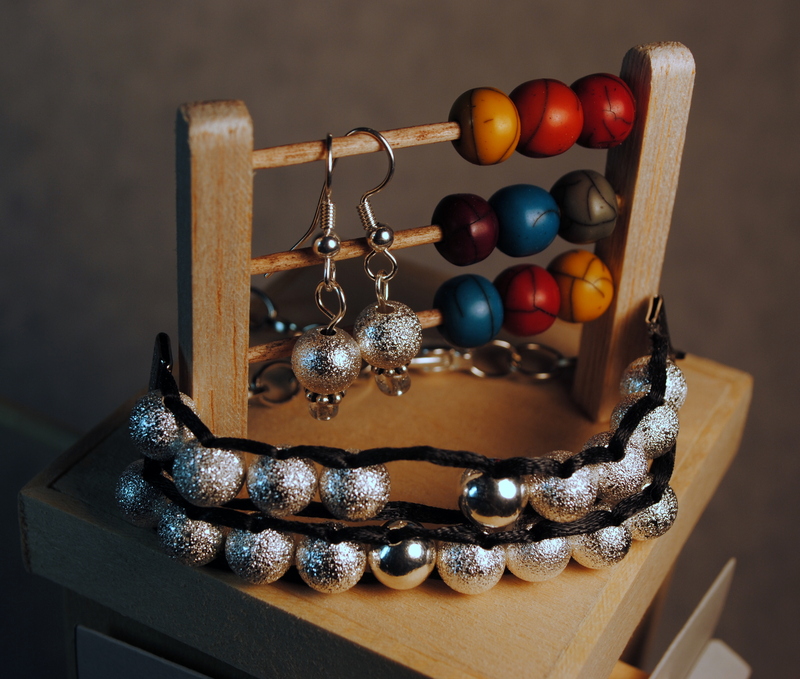 This blingy row counting bracelet comes with earrings… my daughter’s brilliant idea. I’ll try and post pics of my wood beaded ones tomorrow, but I’m taking the kids to the zoo, so I may not have time. We’ll see.